Just like the range of expressions above, Bandies have mixed opinions on the rugby shirts. Some people felt that wearing rugby shirts takes us too far away from our signature plaid. 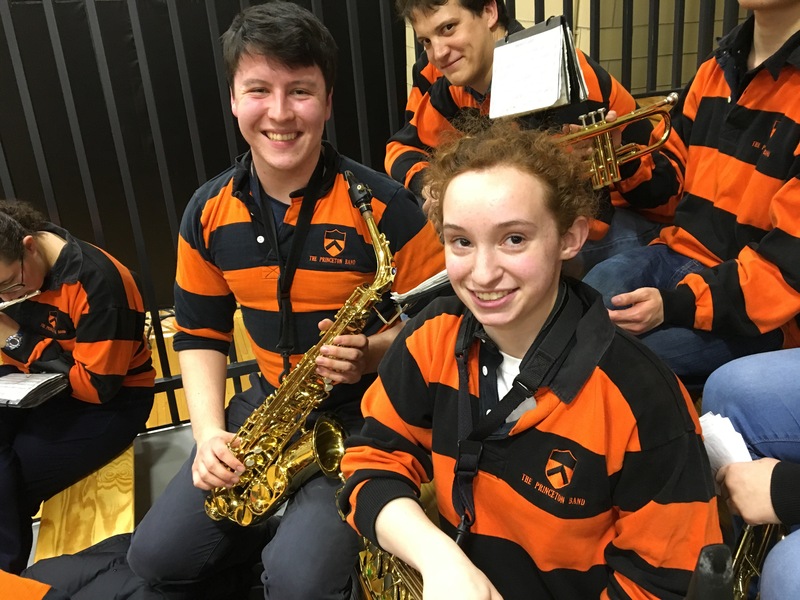 But others, such as Alex C. ’20 really liked the idea of the rugby shirts and wanted to have one to wear around even if we weren’t going to wear them at gigs. 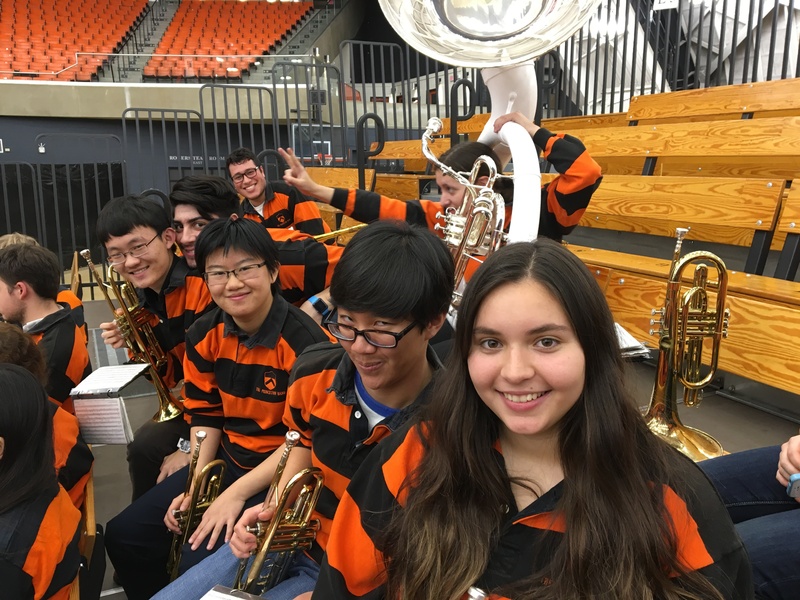 Some of our trumpets rocking those rugbies! 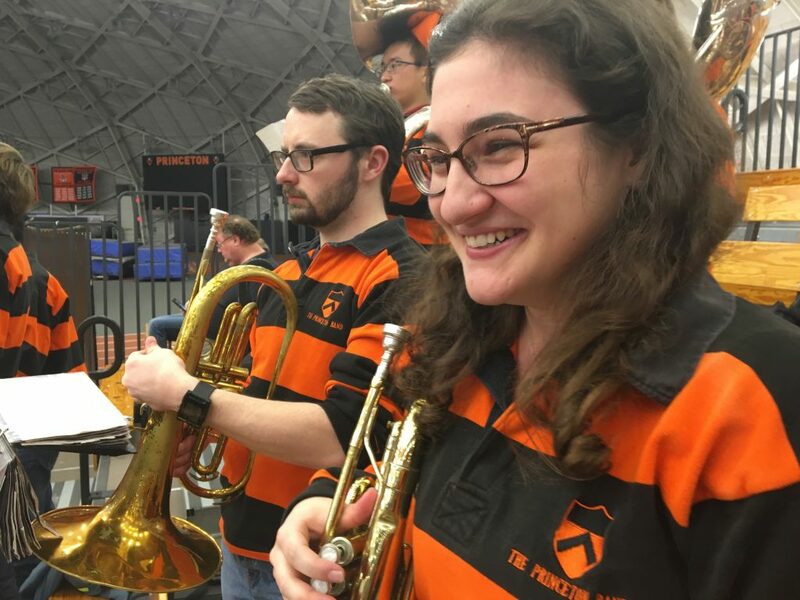 Our current Head Manager, Lucinda P. ’18 (pictured far right, above), had a lot of thoughts about returning to the rugby shirts: “I’m excited to break out the rugby shirts, especially since the majority of the band has never worn them before! I know they’re not very popular among some of the alumni (read: recent alumni), but the rugby shirts are a piece of band tradition that I am happy to help keep alive!” It appears that as the rugby shirts had mostly faded out of the Band’s institutional memory, more and more people were willing to give them a shot this year. 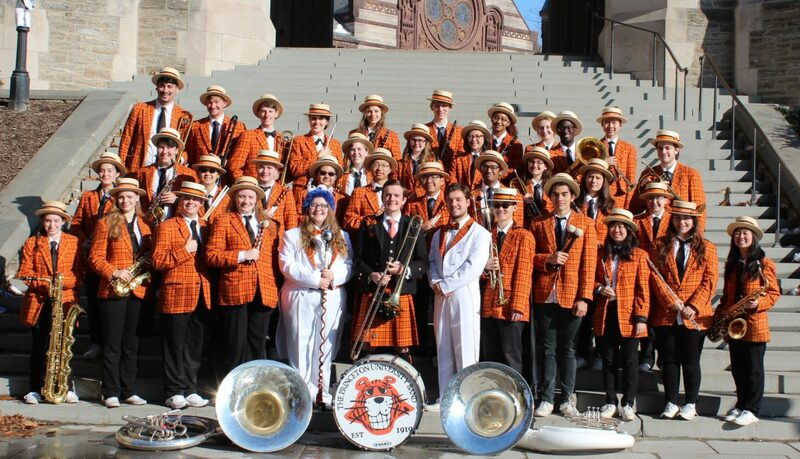 Regardless of your opinion, it’s nice to honor a part of Band history! Previous PostPrevious 2 Truths and a Lie… Bandie Edition!